Tip $5 and get a download of UNRELEASED cover single "VALERIE"
Kurt & Lindsey: don't rush! Jeri: Beautiful song, arrangement, etc. Jeri bought reward: "a download of UNRELEASED cover single "VALERIE""
patryk-larney: cmon, give me dat SOUL ! Pilatiii@aol.com bought reward: "a download of UNRELEASED cover single "VALERIE""
Kurt & Lindsey: Love this! Kurt & Lindsey: Patrk-larney SINGING!! patryk-larney: Kurt and Lindsey, did y'all get an email from us about house concert? patryk-larney: we wanna meet y'all! Kurt & Lindsey: We did our house is no that big. Kurt & Lindsey: Would love to see them live. DSTRANGE1 bought reward: "a digital download of "OLD SONGS" album"
Kurt & Lindsey: Love this Video!!! Kurt & Lindsey: I sent it to Kurt this is us for sure!!! patryk-larney: if you haven't seen the official TWO video ...watch on YouTube...it'll crack you up. Kurt & Lindsey: Love her hair and missing boot! patryk-larney: the single chopsticks t the chinese food place was amazing. Terry : James 4:14...thanks for being so vaporistic! Kurt & Lindsey: Love this song, my favorite. Kent and Linda: Thank you guys! 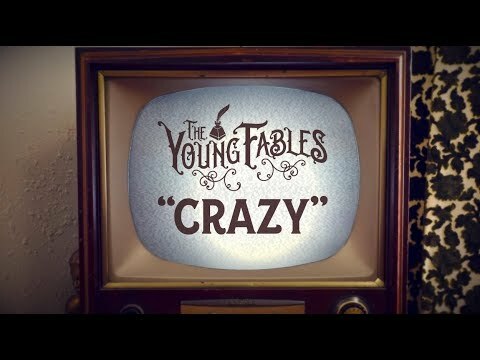 The Young Fables: LOVE YOU ALL! See you next month! SParky bought reward: "a download of UNRELEASED cover single "VALERIE""
bought reward: "a download of UNRELEASED cover single "VALERIE""
You guys are great! I like this format and being able to listen to great music and also make comments if you want. Cool stuff. Both of you are such talented musicians. See you soon. Was very good and a lot of fun. Glad I gave it a try. Unfortunately I could only catch a portion of the show. Will definitely tune in on the next online show. Which I hope is done soon! You sound great! I’m tuning in from Alaska. Watching from Murfreesboro Tennessee. Wishing you would play at Puckett's in the Boro as well. Enjoy listening to you two. Big fan. An mp3 Download of "Crazy"
An mp3 Download of "Talking to the Wind"
A download of UNRELEASED cover single "VALERIE"
An autographed album of "OLD SONGS"
Autographed copies of "TWO" and "OLD SONGS"
The Young Fables (TYF) are a promising country duo comprised of SHURE microphone endorsed vocalist Laurel Wright and GRETSCH endorsed guitarist Wesley Lunsford. The act hails from Maryville, TN and has already collected impressive accolades including the Grand Prize at the Texaco Country Showdown which landed Laurel on the Ryman Auditorium stage at age 16. Fast forward five years to 2017, TYF spent the year engaging and organically expanding their grassroots following while on the road supporting their debut release Two. They've appeared with such notable acts as Lauren Alaina, Josh Turner, Sara Evans, Chris Janson, Randy Houser, The Band Perry and Chris Lane. Quickly becoming a breakthrough face on the country scene, outlets like the world-renown "The Boot," "NASH Country Daily," the UK's "Think Country" and TN Vacation all spotlighted this emerging act. Capturing the ears and attention of two of the industry's most revered names, Keith Urban said they "had me immediately" and Big Machine CEO Scott Borchetta praised "a flawless vocal." The fan-favorite "Covering Your Tracks" video series solidified Laurel and Wesley as prolific online performers and a stand out act in Music City. Securing a win at the Nashville finals of the NASH FM nationwide NASH NEXT competition, the radio giant embraced the duo as an America's Morning Show Ty, Kelly and Chuck favorite, regularly highlighting The Young Fables' songwriting strength in the Ten Minute Tune segment. 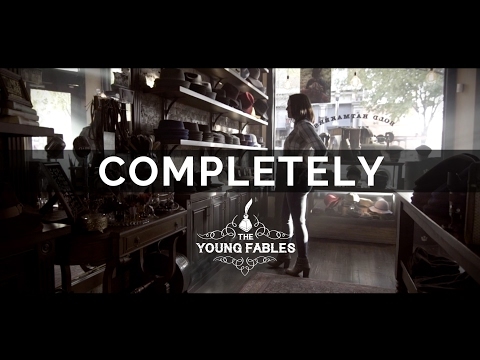 Partnering with CMT, the network exclusively premiered their first single "Completely," a song that would go on to find regular rotation on video programming like The Country Network. This year, TYF have wrapped recording on their sophomore album titled Old Songs with the Grammy Award winning producer Mitch Dane (Jars of Clay, Brandon Heath & Caedmon's Call). 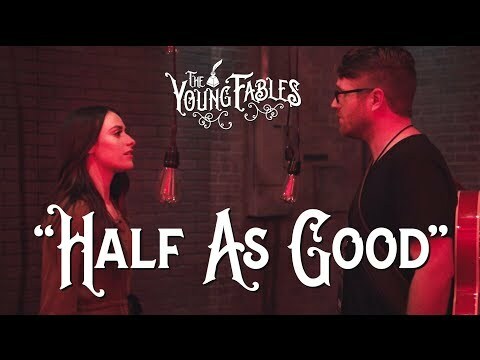 These ten songs establish The Young Fables' sonic home in the Country/Americana community as a modern proclaimer and preservationist of classic country's storytelling roots. An invitation from Shania Twain to appear on USA Network’s “Real Country”, showcasing the nation’s top emerging country artists, gained the duo national notability and secured the team’s spot on the story of country music.